Quadralite Stand 20 can be used as a basis for background illumination lamps or as an underside of a light table. 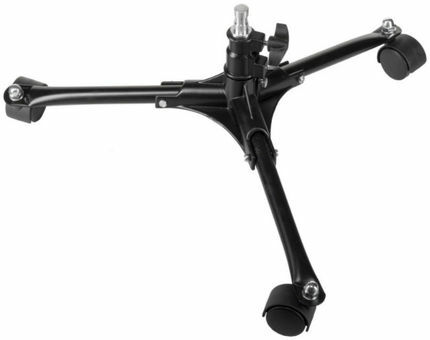 The tripod is wheeled to facilitate the precise lamps arrangement, and its minimum height is only 20cm. Quadralite Stand 20 may be easily and quickly folded to help with trouble-free transport and equipment storage. The structure has been entirely made of metal to ensure long product life and splendid functionality.